The papal conclave of 1572 (May 12–13), convoked after the death of Pius V, elected Cardinal Ugo Boncompagni, who took the name Gregory XIII. Twenty six electors were created by Pius IV, fourteen by Pius V, eight by Pope Paul III, four by Julius III and one by Pope Paul IV. Four were created by Paul III, another four by Pius V, three by Pius IV and two by Julius III. The College of Cardinals was divided into several factions. Most of the creatures of Pius IV followed the leadership of his nephews Carlo Borromeo and Marcus Sitticus von Hohenems. Michele Bonelli, grand-nephew of Pius V, was a leader of cardinals elevated by this pontiff. Alessandro Farnese was still very influential, and had adherents not only among the creatures of his grandfather Paul III. The interests of Grand Duchy of Tuscany were under the care of Cardinal Alessandro de' Medici, son of Grand Duke Cosimo I de Medici, while those of Philip II of Spain were represented by Pacheco and Granvelle. Cardinal Rambouillet was the main representative of Charles IX of France in the conclave. Cardinals Farnese, Savelli, Correggio, Ricci and Boncompagni were considered as the main papabili. Farnese was the most active in promoting his own candidature, but he met also with the strongest opposition. His main opponent was Cardinal Medici, because of the rivalry between the House of Medici (Grand Duchy of Tuscany) and the House of Farnese (Duchy of Parma) in Northern Italy. Also king Philip II of Spain opposed Farnese’s candidature, because he considered his elevation dangerous to the balance of power in Italy. The worldly Farnese was also unacceptable to the austere Carlo Borromeo. 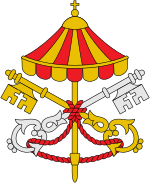 It was generally expected that conclave would last very long, possibly even several months. Fifty-two Cardinals entered the conclave on May 12. On that same day in the evening they were joined by one more, Granvelle, Viceroy of Naples and official representative of Philip II of Spain. The first step taken by Granvelle was to inform Alessandro Farnese that the King of Spain would not accept his election and to ask him to withdraw his candidature in order to maintain peace in Italy. Surprised, Farnese understood that with such strong opposition he would never obtain the required majority, but, admitting his defeat, he wished to be able to use his influence effectively in the choice of the new pontiff. Almost the whole next day leaders of the main factions: Farnese, Bonelli, Granvelle and Borromeo, spent looking for a compromise candidate, and finally agreed to elect the 70-year-old Ugo Boncompagni. The first scrutiny took place on May 13 at six o’clock in the evening. At the end of the phase of accessus Ugo Boncompagni was elected Pope, receiving all votes except of his own, which he gave to Granvelle. He accepted his election and took the name of Gregory XIII, in honour of Pope Gregory I. The people of Rome were surprised with such a quick election, but they welcomed the new pope, because he was neither religious nor an austere "Theatine”, as most people had feared. On May 25 Gregory XIII was solemnly crowned by Cardinal Protodeacon Innocenzo del Monte.